Metro Laboratory Services focusses on laboratory and use of multiple state of art technologies to process blood, urine and other samples to diagnose the illness of our customers. We are having fully automated machines for BIOCHEMISTRY, IMMUNOLOGY, HORMONES, HEMATOLOGY studies with minimal human interfaces thus reducing the error percentage in reporting. 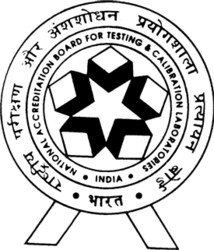 We are also accredited by NABL( National Accreditation Board for Testing and Calibration Laboratories.) for highest quality standards in the country for all these services. Biochemistry services are concerned with measurement and detection of chemical and physico-chemical processes and substances which occur within living organisms.Immunology services is the branch of medicine concerned with level of immunity while Hormone Services deals with measurement of hormones level in our blood. Hematology services studies the physiology of the blood. Pathology services studies the causes and effects of diseases, especially the branch of medicine that deals with the laboratory examination of samples of body tissue for diagnostic or forensic purposes.. Microbiology deals with microorganism and their sensitivity towards antibiotics.